Sopron in Hungary is geographically and logisticaly an optimal hub for our customers and suppliers on all continets. Sopron lies approximately 50 minutes south of Vienna. We´ve been operating one of Europe´s largest hardwood processing facilities here since 1987. It has 17 drying chambers with a total drying capacity of approximately 20.000m3 hardwood, There is 25.000 m2 of storage space, including 5.000m2 of indoor storage. 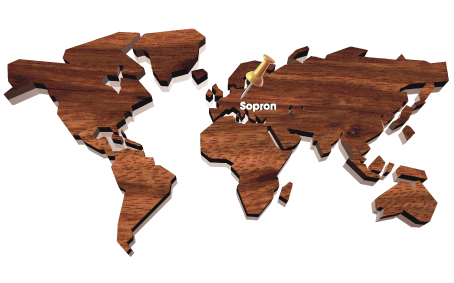 Our highly skilled workforce in Sopron is yet another of our strong selling points; many of our employees have worked here since the start 1987 and today virtually no one can rival the skills and expertise they posses in hardwood processing. At the heart of a world of timber.